Growing up, Labor Day signified several things: the end of summer, the town firemen’s parade and fair, and a telethon hosted by a comedian named Jerry Lewis, which raised money for muscular dystrophy. For a twenty-one hour period, you could turn on the television to watch a plethora of comedians, singers, and dancers entertaining the audience while the show’s viewers called in their donations. Celebrities from Frank Sinatra to Carrie Underwood appeared on the show, which ended its run in 2010. I am sure that by now you are wondering what has caused me to write about this particular event. What could possibly be the relevance to my life? It probably sounds like I have really meandered way off the path of our family story. Am I losing it or grabbing at straws because I am running out of material? Not so fast. I am not desperate for material yet. I am going to tell you a story I am positive is new to all of you. In addition to raising money via this annual telethon, Jerry Lewis also called on kids throughout America to raise money for this disease via backyard carnivals. We had one at our house. While I cannot remember all the details due to my advanced age, I can recall enough so that I can paint you a picture of the event. Hopefully, with some help from my siblings or my friend, Karen, I will be able to fill in the blanks later. I know I sent away to Jerry for a carnival packet, which included suggestions for games, tickets, and signs to display around the neighborhood. We had a fortune telling booth, which we created by putting up a sheet over the slide of the swing set. One of us was the gypsy, who dressed up in some sort of costume which was comprised of a cloth head covering and an old dress belonging to Grandma. We invented stories to predict the future of our young customers. In the sandbox we placed dishes, which was similar to the nickel toss at the firemen’s fair. The idea was to stand at the edge of the sandbox and try to gently, but with great accuracy, throw a coin so that it would stay on one of the plates. We also had a milk bottle toss, which involved dropping a clothes pin into a milk bottle. Of course we had refreshments, which may have been nothing more than some lemonade. So we put up our signs, and the kids from the block beyond Wootton Street came. They spent their pennies and nickels on our games and drinks, and at the end of the carnival, Grandma sent our measly profit back to Jerry Lewis’ Muscular Dystrophy fund. It was not a waste of our time at all because we had fun planning it, a great time that day, and when it was over, we felt we had helped the cause just a bit. The summer of Y2K was extremely fun-filled, according to Casey’s “Summer Fun” assignment for her sixth grade English class. I am not going to go into the panic that the world was feeling because of the wacko fears that something horrific would happen or that the world would end. We all know that, unless you don’t because you are reading this many years in the future and were not born yet. In June we went to Houston for Aunt Linda’s wedding. Poor Jamie! She had to spend her thirteenth birthday on an airplane, and we all know about Jamie’s paranoia about air travel. But I tried to ease her anxieties by bringing along mommy’s cupcakes and some decorations so we could all celebrate at thirty thousand feet. This turned out to be good for me as well because I shared our goodies with the flight attendants, who in turn, gave me a free drink. Aunt Linda announced Jamie’s birthday to all her guests, so she could bask in the glory of her temporary family fame. We swooped in for the wedding, and since she and Phil were leaving on a cruise, we did not stay in Houston. We did quite the tour of Florida after Texas, first stopping at the home of our old friends from Yorktown Heights, New York, who had relocated to Naples. Next, we visited Dad’s friend, Jerry in Tampa, where we went to a place called Adventure Island. You all (including Daddy) enjoyed the go carts, video games, and mini-golf. How could we go to the Sunshine State without a stop at Disney World? We drove there from Tampa and stayed at Port Orleans. It all sounded so good during the planning stages, but Disney World Independence Day 2000 was a madhouse. The lines were ridiculous, and even the fast track tickets resulted in long waits. The 4th of July Fireworks from Epcot were memorable, and so was the very long journey back to our hotel. The crowds were so unpleasant that none of you wanted to return for one more day at one of the most fun places on the planet. 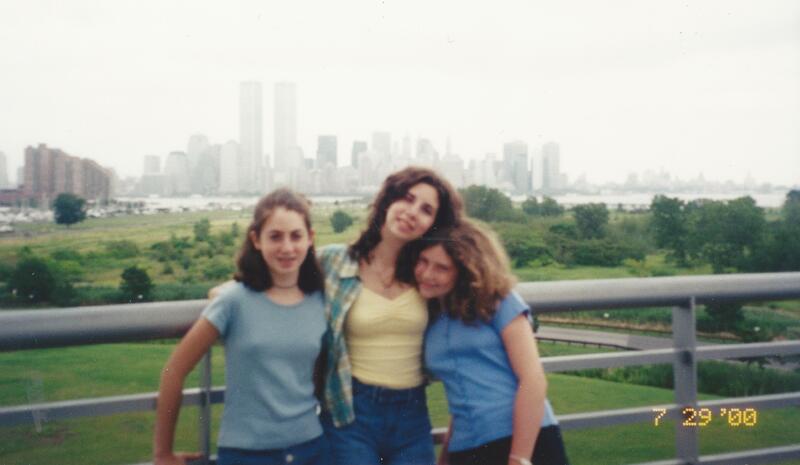 In July, I took Jamie, Casey and Carly to Madison Square Garden to see NSYNC. What an amazing mom I am! I really do not enjoy going to concerts with young teenage girls. That is when I developed my concert earplugs, which made me friends with all the other moms surrounding me. Concert earplugs are constructed with wadded-up tissues, which are carefully inserted in one’s ear. They are quite effective. I used them for NSYNC, O-TOWN, an American Idol Concert in Charlotte, and a recent football game here in Columbia where I had a shrieker from Florida sitting behind us. The following week, I also took the three of you to Hurricane Harbor at Six Flags with Aunt El and the kids. You enjoyed the water rides. Was there a lazy river for wimpy me? Before that summer came to a close, Dad and I took you to Liberty Science Center. Apparently there was a roller coaster exhibit. As the family chicken, that is about as close to a roller coaster that I would go. Holy Cow! Was I awesome! I also took you all into New York City to the Metropolitan Museum of Art. We had a very New York lunch—hotdogs on the steps of the museum. Sadly, the summer had to end. That meant purchasing your school supplies and clothes. That was the infamous trip to Willowbrook Mall. You know the trip. That was probably the birth of Jamie’s insanity with celebrities. We were in the dressing room trying on clothes. It was a coed room as you all know. Suddenly, from the dressing room next to us came some music. It was the new boy band O-Town, doing their preconcert shopping. 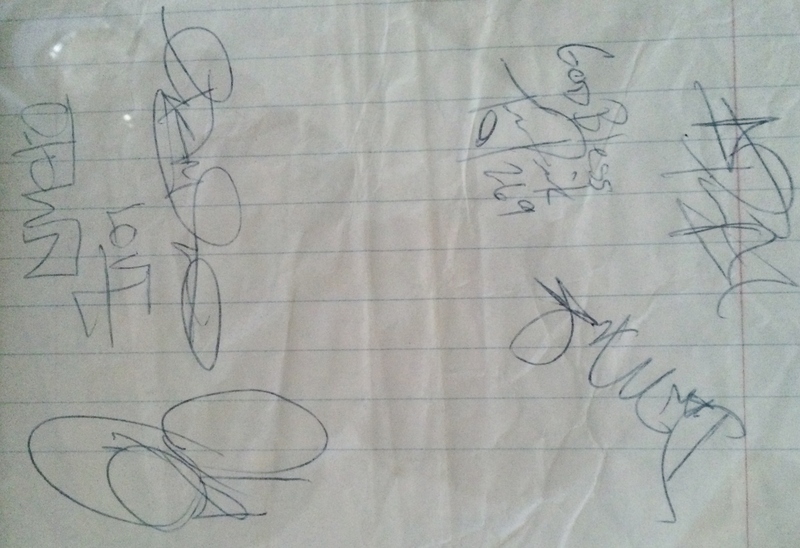 I searched in my purse and found a scrap of paper—the infamous autograph paper which still stands framed today. Can you girls ever compete with me?? I liked to climb trees. There was this great big maple tree located in the yard of our neighbor Mr. Shelton. Its branches were situated high enough to be impossible for my younger siblings to climb but low enough for me. My friend Karen and I spent many hours after school hanging out in our hideaway, chatting and telling each other our fourth grade secrets. The worst revelation was that we liked the same boy, and then to make matters even more devasting, he liked Karen and would walk her home from school. This was particularly distressful because she and I walked to school together, so I had to watch the romance unfold before my eyes every day. I survived the summer of the tree platform, but I think Uncle Mart may have visited the hospital for a stitch or two after taking a dive from it. It’s what he did. The following summer we got a pool. It was only eighteen feet in diameter, but to us, it was so big and luxurious. It was like having our own private swimming hole in the backyard. We were the luckiest family in town. I was surprised to learn that my first sea excursion was not the cruise around the Hawaiian Islands with Dad shortly after we were married. 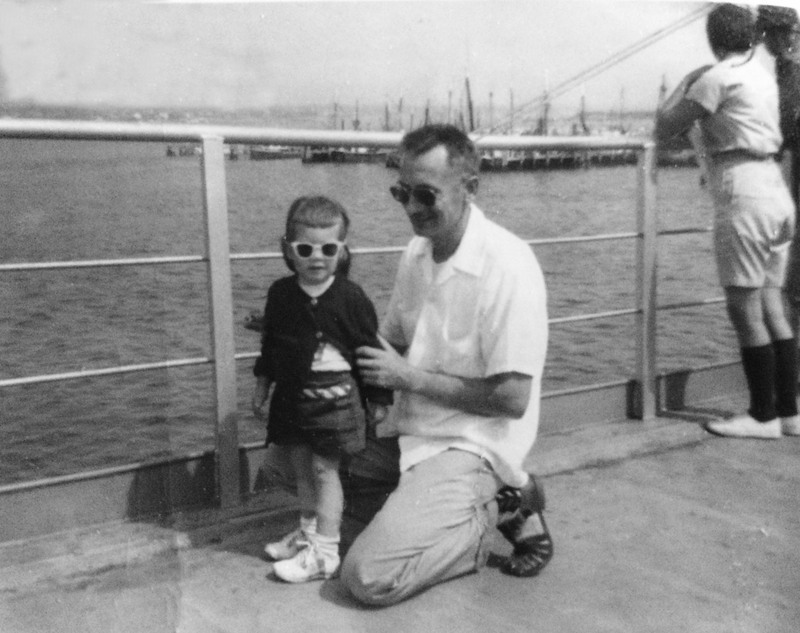 Instead, it was on a ferry to a small island off the coast of Rhode Island one month after my second birthday. I got seasick both coming and going to Block Island. Fortunately, only Kelly has been plagued with that curse. From what Grandma has told me, the accommodations were anything but luxurious, but at the incredibly cute age of two, I didn’t care and sadly, I have no memory of the trip. We went with friends of Grandpa, and the biggest excitement during the entire week was created when a man who did the NBC 11:00 nightly news appeared on our side of the island. One of the friends traveling with us was so excited that she had him autograph her cigarette. His name was John K.M. McCaffrey. It was not a good time to vacation on the island, since we were all awoken several times by Coast Guard lights looking for survivors of three plane crashes and one drowning. Grandma was twenty-eight on that vacation; Grandpa thirty-eight. They were so young. Can you just imagine that scene? I grew up in a small town where everyone was either related to you or knew your mother or your grandmother. It was like the television show Cheers, but on a much grander scale. This gave all the parents a sense of security. We could walk everywhere or easily ride our bikes from one end of town to the other with relative safety because sidewalks were on nearly every street. I don’t remember hearing about crime and I knew no one who owned a gun. It was a happy, carefree place to grow-up. Boonton, USA. During the summer, you didn’t whine about having nothing to do. We played with our friends all day until we were called home for supper. We didn’t eat dinner growing up; it was always supper. There was hopscotch, jump rope, hide-and-seek, SPUD, bikes, the park, and our pool. There were no computers, video games, or infinite television on demand. We had to create our own fun. Our town had a summer school program. It was located in “The Flats” at John Hill School, which was my school for seventh and eighth grade. I remember playing Chinese checkers, making plastic lanyard key chains, and creating a craft in wood shop, which was for boys and girls alike. 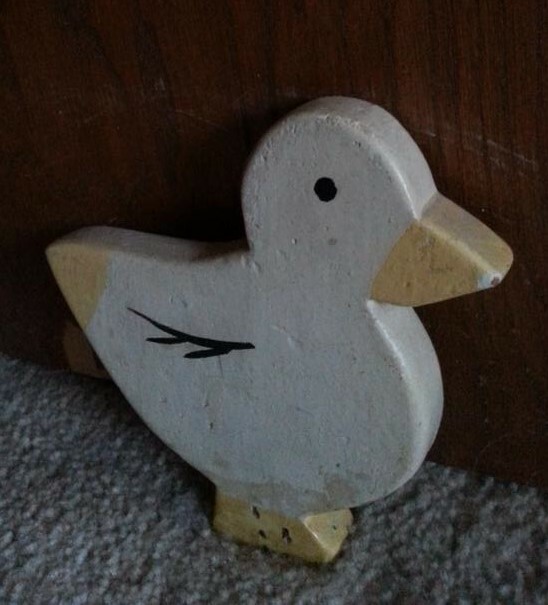 Wooden Duck- Courtesy of my cousin Patrick Cooney. We looked forward to Fridays when we would participate in themed competitions such as “hat day.” Everyone would wear a hat and be judged for the silliest hat, or prettiest hat, or smallest hat. When we wanted to go on an adventure, we would hop on our bikes and head to the Dairy Queen in Denville. I would order either a vanilla cone with sprinkles or a pineapple blizzard, which was a very thick pineapple-flavored milk shake. There was something very special about a Dairy Queen treat, which tasted even more delicious after working so hard to get there. The distance to the Dairy Queen was very long. I know that sometimes childhood memories distort reality, but when I mapped the route today, I was shocked to learn that my imagination was accurate. It was a round trip of over ten miles. There is no way I would have allowed any of you to take such a long ride at what I know was a fairly young age. But the times were different, the roads were less traveled, and nothing ever happened to anyone in my town back then. Those summers were so long, or that’s how it seemed to all of us. As the days grew shorter and the nights cooler, we sadly realized the end of our carefree days were coming to a close. Grandma took us shopping for our school clothes, and we anxiously awaited the Labor Day Parade, Firemen’s Fair, and fireworks. We’d check out the rides, have some cotton candy, and meet the friends we hadn’t seen since June. Those days are long gone for me, but as Labor Day approaches each year, I know the tradition of the annual Labor Day celebration continues in my hometown. Maybe someday I will go again. When I planted the lantana under the palm trees in our yard, I never realized that those bright yellow flowering plants, which grow like weeds but look like sunshine on my lawn, would also prove to be so entertaining. It turns out they are butterfly magnets—a discovery which Bryce just made this past week. We spent over an hour in the hot Carolina sunshine chasing two butterflies around and around the tree, then pausing to watch it disappear into the back yard. Naturally, we had to follow it. Bryce did not grow tired nor did he notice the sweat dripping from his brow. He was having too much fun. It reminded me of my childhood chasing lightning bugs on a warm summer evening, attempting to trap them in a jar so we could see what they looked like during the day. (They were usually dead by morning!) We never learned that lesson because we would continue the chase the next night and never consider not coaxing them into our jars. The first approach was quite simple and required no props except a shaker of salt. It was so easy, was never successful, and was therefore sheer genius on Grandpa’s part, because it kept us happily entertained for hours. As we grew older and wiser and finally realized how much time we had invested in a project with no rewards, we sought Grandpa’s advice on a plan to increase our odds at succeeding. The second scheme to a possible victorious hunt required constructing a trap consisting of a shoebox and some long string attached to a stick. What we did was prop the box up with the stick, insert some bread inside with a trail of crumbs leading up to it, and then wait very quietly for a bird to take the bait. We truly believed that a bird would follow the trail into the box, then curiously hop inside to investigate and voila, we would tug on the string to catch our prey. Similar to hunting with the salt shaker, we spent many hours in the backyard, this time lying on our bellies trying method #2, which of course, never succeeded. But we were patient and we were believers. Looking back, it seemed like we were really naïve kids, but you know, it was just part of our lazy days of summer and kept us busy and out of Grandma’s hair!